The French Open was born in 1891, interestingly first played on a grass surface. 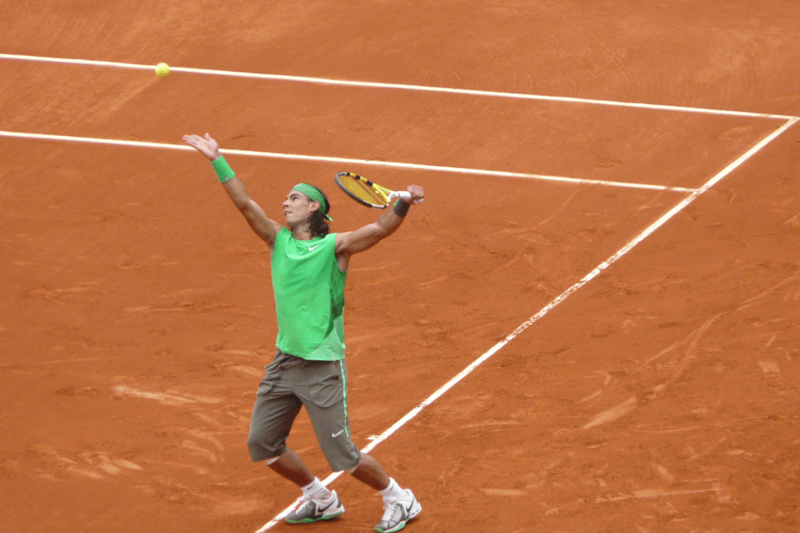 It wasn’t until 1912 that the red clay we know and love(well Rafael Nadal does anyway) was introduced. The French Open was closed to French licensed players only until 1925 when the tournament opened its doors to international players. After the Mousquetaires also known as the Philadelphia Four (Rene Lacoste, Jean Borotra, Henri Cochet and Jacques Brugnon) won the Davis Cup on American Soil in 1927, the French decided to defend the cup in 1928 at a new tennis stadium in Port d’Auteuil. The Stade de France had offered the tennis authorities 3 hectares of land with the condition that the new stadium must be named after the World War 1 pilot Roland Garros. The new Stade de Roland Garros hosted the Davis Cup (which the French team won). From 1945 through 1947 the French Championships were held after Wimbledon, making it the 3rd Grand Slam event of the year. In 1968 the French Championships became the first Grand Slam tournament to go ‘open’, allowing both professionals and amateurs to compete. In the open era Bjorn Borg stands in first place with 6 titles to his name. Today Rafael Nadal, winner of the last 4 consecutive titles is bidding for his 5th title in a row and at the tender age of 22 would you bet against him surpassing Bjorg’s record? Roland Garros 2009 can be seen daily on EuroSport UK.